It’s May 25th 2017 and I have a new book releasing tomorrow. 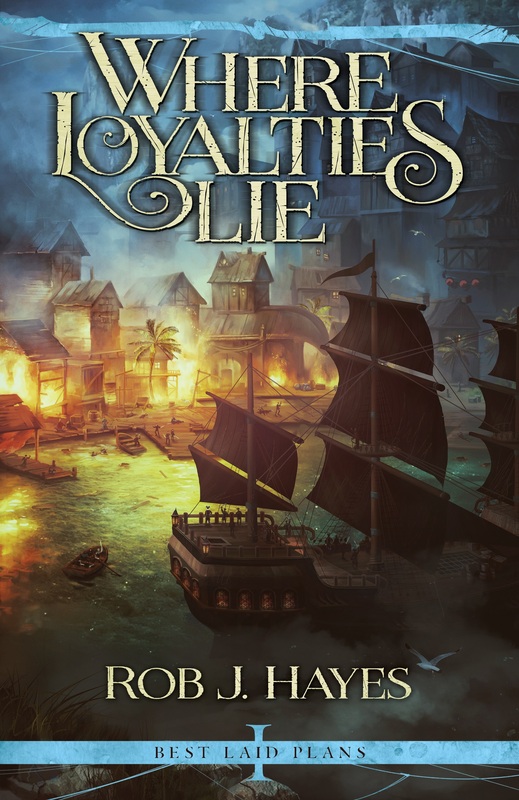 WHERE LOYALTIES LIE(WLL) is finally releasing. You can even order your copy here. This post is a short history of exactly why it has taken so long for me to get the follow up to The Ties that Bind (TTtB) out there. I’m no GRRM or Rothfuss, I certainly didn’t mean to leave such a long gap between books. I’ll start by saying this: TTtB was originally published in March of 2013. It sold quite well. The epilogue to the series is a hint at what was to come… Pirates. It was always my plan to follow up TTtB with a piratical adventure featuring Drake Morrass as the primary protagonist. I took a short break from First Earth after publishing my debut trilogy and wrote It Takes a Thief to Catch a Sunrise. I needed to spend some time doing something a bit lighter and happier and Jacques and Isabel kept demanding my attention. The book took a bit longer to write than I expected. In mid 2014 I finally sat down and started writing WLL and I finished it on December 21st 2014. By this time I had signed with an indie publisher and had every intent of publishing my new swashbuckling piratical novel through them. I sent them the manuscript and went to work on the sequel, The Fifth Empire of Man (FEoM). My publisher at the time slated WLL for a December 2015 release and I’ll admit I was quite excited to get it out there and see what people thought of my pirates. By November 2015 I had finished FEoM and sent that manuscript to my publisher… but I was still waiting on the edits for WLL. December rolled around and I received no word of release. Finally, with only a few days before the scheduled release, I was told it would be delayed until January 2016. January rolled around and still no release and still no edits. In February 2016 I was told it would be a May 2016 and in May I was told it would be a December 2016 release. A pattern began to emerge. Actually I think it had been there a while, but I had my head buried firmly in the sand. In October 2016 I was told WLL was in audio production… I had still yet to receive any edits. Turns out my publisher had just sent then unedited version of the manuscript to Audible… I was less than pleased. In December 2016 the WLL Audible book was released to very little fanfair, in large part because I refuse to endorse it. It is not a finished version of the book and should not be available for purchase. Unfortunately I can’t do much about it. Around the same time I was told the ebook and paperback versions of WLL were being delayed again with no set release date… just a blanket delay. I was assured the manuscript was finally being edited by a professional and was almost done. In January of 2017 I decided enough was enough and pulled all my rights from the publisher. They were already in breach of contract for the unreasonable delays to WLL and I no longer saw a future with them as the trust was irreparably gone. I set about getting the book ready for release under my own steam. I hired a professional editor, the brilliant Toby Selwyn, and also agreed terms for the cover from my old publisher. Self-publishing (done correctly) is not quick, but I set myself the deadline of May 2017. Which pretty much leads us to where we are. May 26th 2017, the day of my 34th birthday, and also the day my pirates are finally unleashed upon the world. I just wanted to make this post to all those who have been waiting for this book. I know I promised it about 3 years ago and I’m very sorry it has taken so long, but it is finally here. There will be rum and there will be shanties. Thank you for waiting. AND… I have put up my piratical short story, Black Blood, to read free on my website. 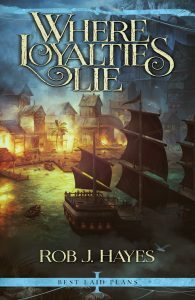 It features a few of the characters introduced in Where Loyalties Lie and gives a taste of the Pirate Isles.